The movement started 46 years ago, from an idea of Gaylord Nelson, then a U.S. Senator of Wisconsin. After checking the alarming effects of the oil spill happened in Santa Barbara in 1969, he thought was necessary to catch the attention of national leaders in order to avoid any further disasters. 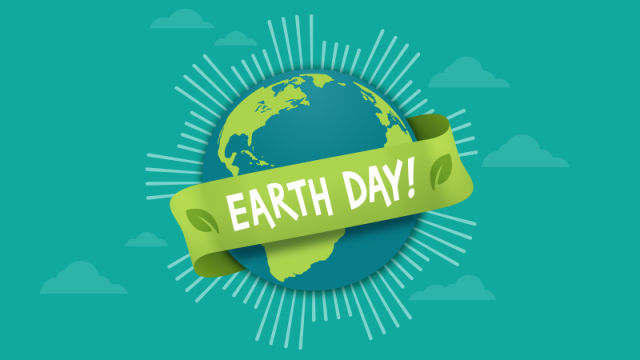 He turned this energy into action and today we are still celebrating Earth Day, with the aim of increase consciousness and awareness about environmental issues, being thankful at the same time for all the great resources that Mother Nature gives us. Many global events will take place on the day to support to the cause and the tech world is getting ready as well, promoting websites and apps that follow just one motto: “stay green!”. 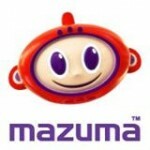 Here at Mazuma, we not only try and save you money, we believe that reusing and recycling old mobile phones and gadgets is a sustainably responsible course of action. “Km zero food” means cutting down on transportation energy, help your community and improve sustainability. 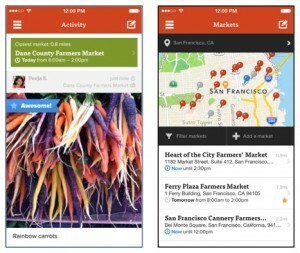 Farmstand promotes this concept, allowing users to discover the locally grown food from over 8,700 farms around the world. It’s possible to find closest markets, look for fresh products in the area, check opening times, directions and pictures posted by previous visitors. The app is available for iPhone users only at the moment. Visitors can share their own photos, helping to promote their favourite markets and improve the network of farmers. 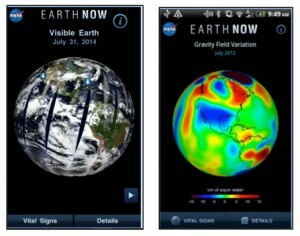 Launched at the beginning of 2015, Earth-Now is an app that shows recent global climate data provided by Earth Science satellites, thanks to the collaboration of Earth Science Communications and Visualization Technology Applications with NASA HQ. A 3D model of the Earth may be rotated by a single finger stroke and may also be zoomed in or out. The app reports information as the surface air temperature, the level of carbon monoxide and ozone, water vapor as well as sea level variations. It is available for both Android and iPhone users. If you always wondered how it feels looking to the Earth from a space station, this is the app to download. 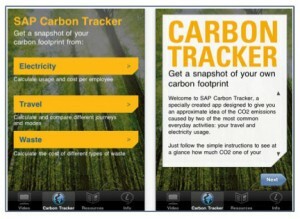 CarbonTrack, launched in 2010, comes to help business activities. To entrepreneurs who would like to give to their company a green touch, the app gives an estimate of the CO2 emissions put out from travels, electricity usage, waste, showing also the associated environmental impact. It’s possible to calculate potential electricity savings, comparing different kinds of transportations and it measures effects of business waste in order to push companies to change their behavior in favour of a more sustainable model. The app is available for iPhone only. 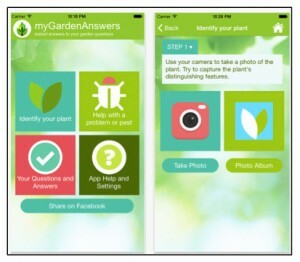 Garden Answers is a plant identification app that is able to identify over 20,000 plants, giving advice and information about them. Simply snapping a picture, users can get a description and instructions on how to take care of plants and flowers from gardening experts. The app was launched in 2013 and has now more than 250,000 users. It’s both for Android and iPhone and it’s also available as a tablet version. Getting into the recycling habit is often the hardest step – iRecycle is an app helps users to find local, convenient recycling opportunities. 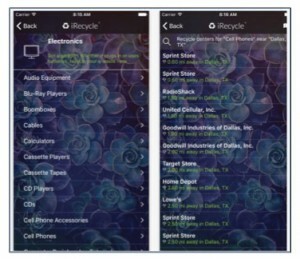 The app, available for Android and iPhone, provides access to more than 1,500,000 ways to recycle over 350 materials. Users discover where to recycle by simply adding the current location or a postal code, this helps them get information on all the collecting points in the area (phone number, directions, materials collected, hours of operation).